You are currently browsing the daily archive for 03/05/2011. 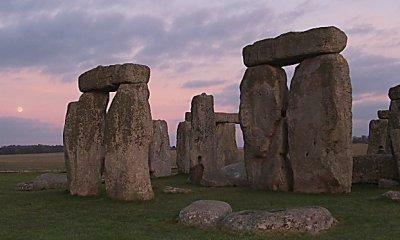 Stonehenge: Why complain about paying to visit? The recent headlines claiming Stonehenge “made £30m from tourism in five years” are a bit misleading as it seems it got “an average of £6m a year, while costing taxpayers just under £2.4m” so the net profit over five years was eighteen million not thirty. Either way, there has been a negative reaction in some quarters and various longstanding complaints have been expressed, things like “English Heritage shouldn’t use it as a cash cow”… “access should be free as it was given to the nation not them” and anyway “it’s our temple”. But is there really a problem with charging? Shouldn’t we be honest, £7.50 is absolute peanuts considering what Stonehenge is and what little you can get for that money these days and English Heritage is responsible for thousands of monuments, nearly all without entry charges while being progressively deprived of funding by the Government. Why should we who love all those monuments whine if they use some of our modest Stonehenge gate money in caring for those? It’s also certain that the issue of whether it belongs to everyone or not is neither here nor there because unless there are limits on access, particularly to the stones themselves, the place will be progressively damaged. For some reason the authorities haven’t admitted that under the new plans a million people a year can’t possibly be allowed to roam freely among the stones but it’s pretty obvious they can’t and that it will be announced in the end. “Free and open access” is a fine slogan but entirely impractical. The final claim for having no entry fee is that the monument is a “temple” and ought therefore to be free to enter for those who see it as such. There’s certainly no reason to dispute whether it is a temple or anything else, it’s whatever you believe it to be, but equally it’s only right it should be acknowledged it is lots of things other than a temple to lots of people who have just as much right to enter it as those of a spiritual bent. So free entry for one group and not another is never going to be viable or just.